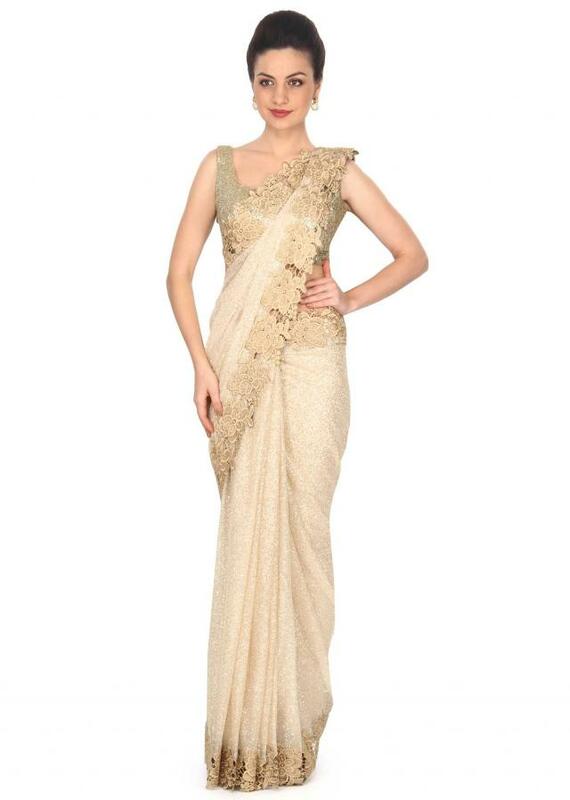 Gold saree featuring in shimmer net. 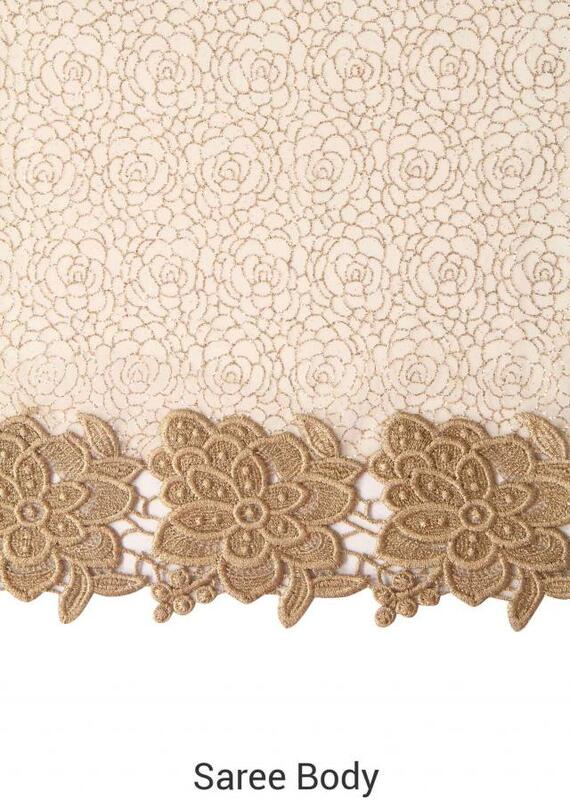 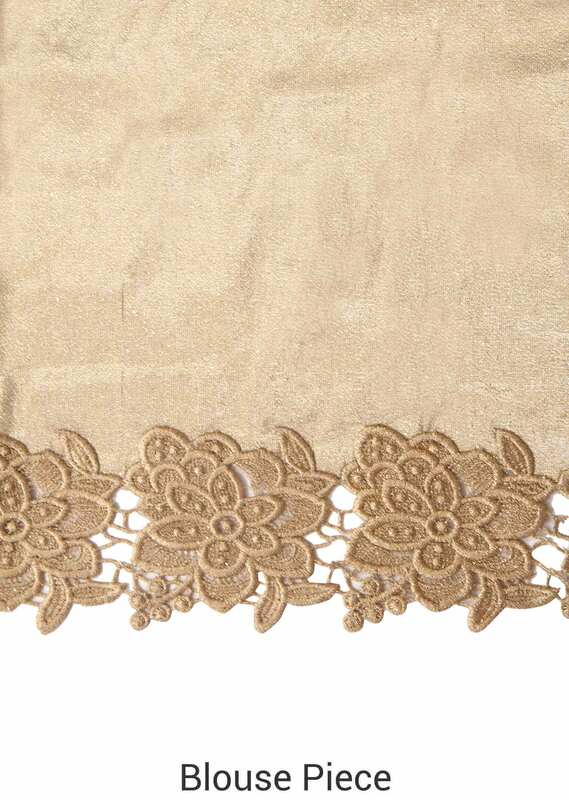 Border is embellished in zari cut work border. 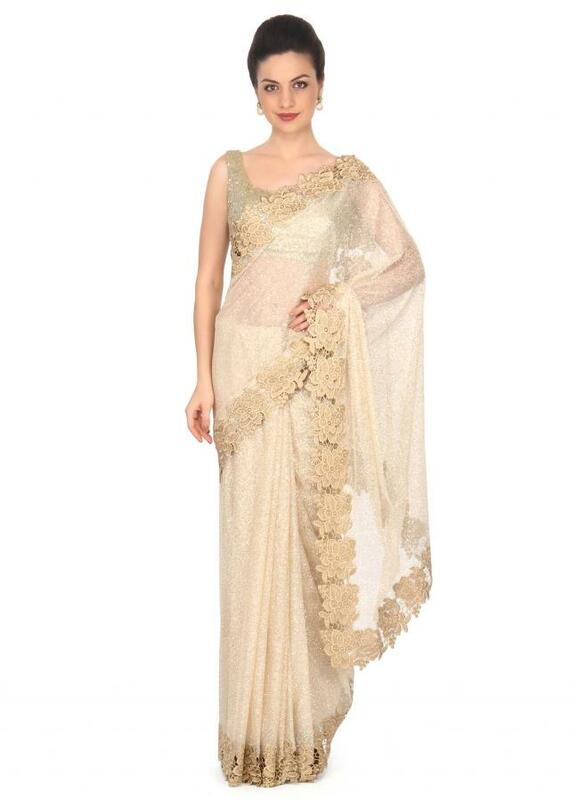 Blouse is unstitched in gold lurex.